Our storytellers have performed at various family events and galas across the city, including; Glasgow on Ice, Riverside Museum and Priesthill & Househillwood Gala Day. We also regularly perform in schools, bringing a little storytelling magic to topic days and reading weeks. With years of experience and a huge repertoire of stories, our storytellers can help you create a session ideal for your audience. If you’re interested in booking a storyteller for your event then get in touch via the contact us section of our website where we’d be happy to answer any questions. 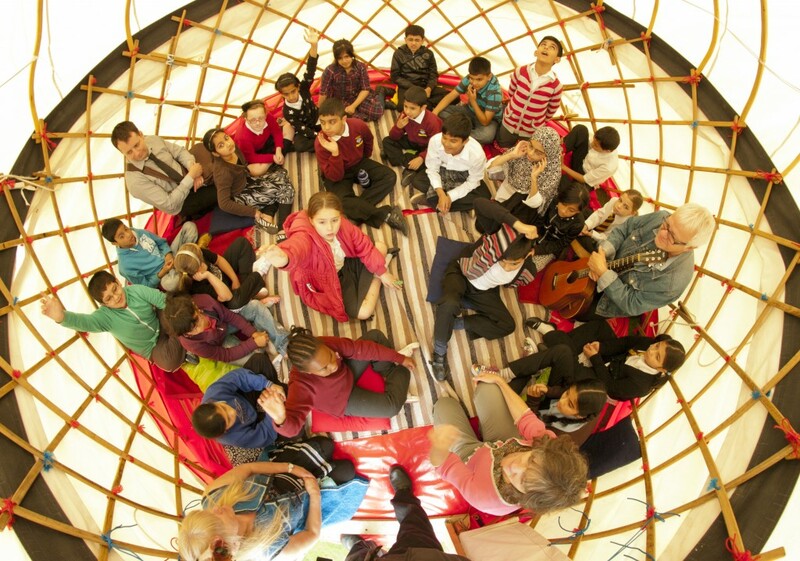 As if tales from our wonderful storytellers weren’t enough, they also come with or without our beautifully crafted yurt! Take a step inside for a unique storytelling experience where you’ll be transported to faraway lands and hear fascinating fictions from days gone by.